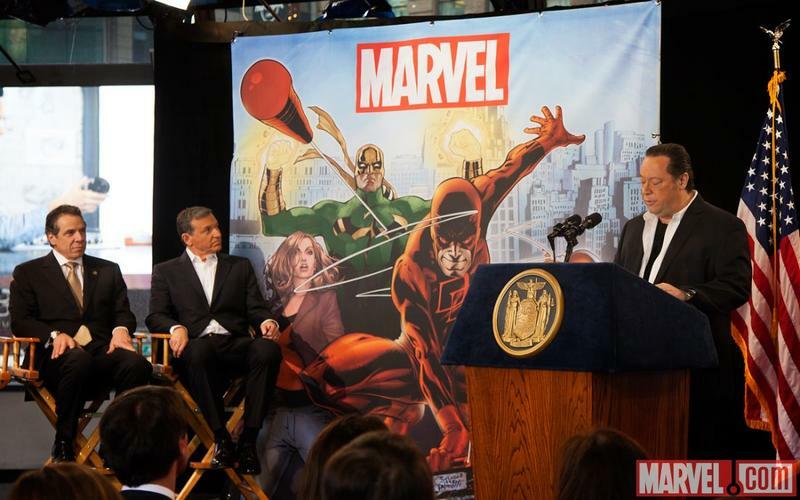 Marvel has chosen to shoot all five of its Defenders television series in the actual city where the stories take place, New York City. 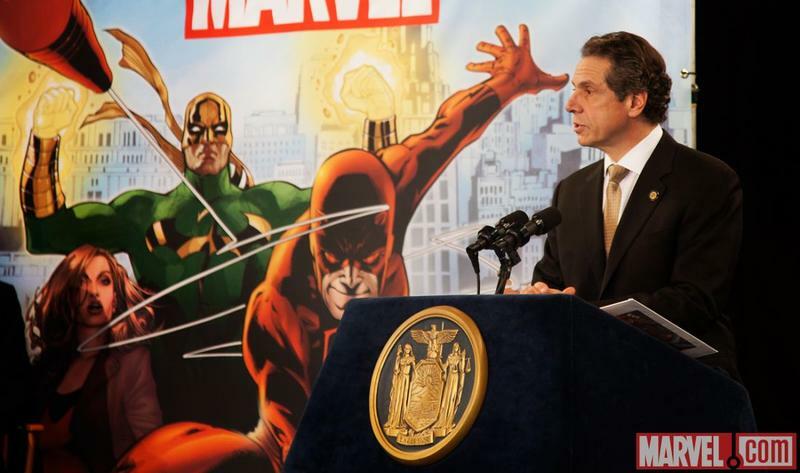 In what has become a highly unusual move in television production in this day and age, Daredevil, Jessica Jones, Luke Cage, Iron Fist and the team-up series The Defenders will all shoot in New York City. 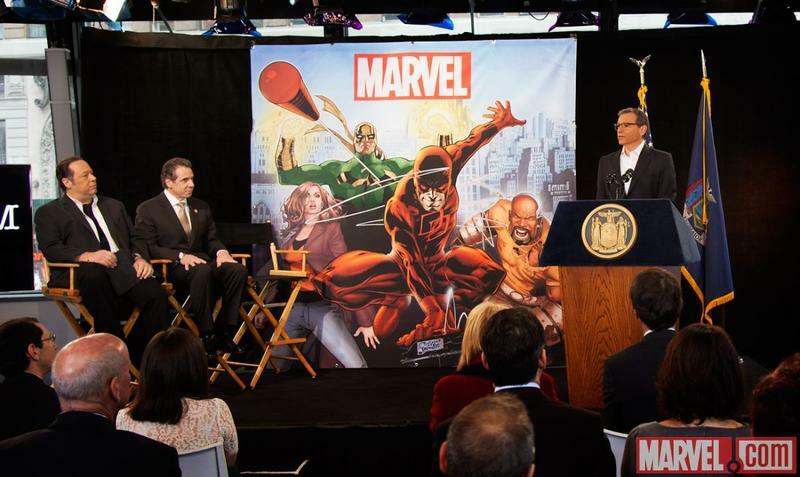 As NYC has become more and more expensive to shoot in, most shows have moved up North to Vancouver to film due to the favorable exchange rate. 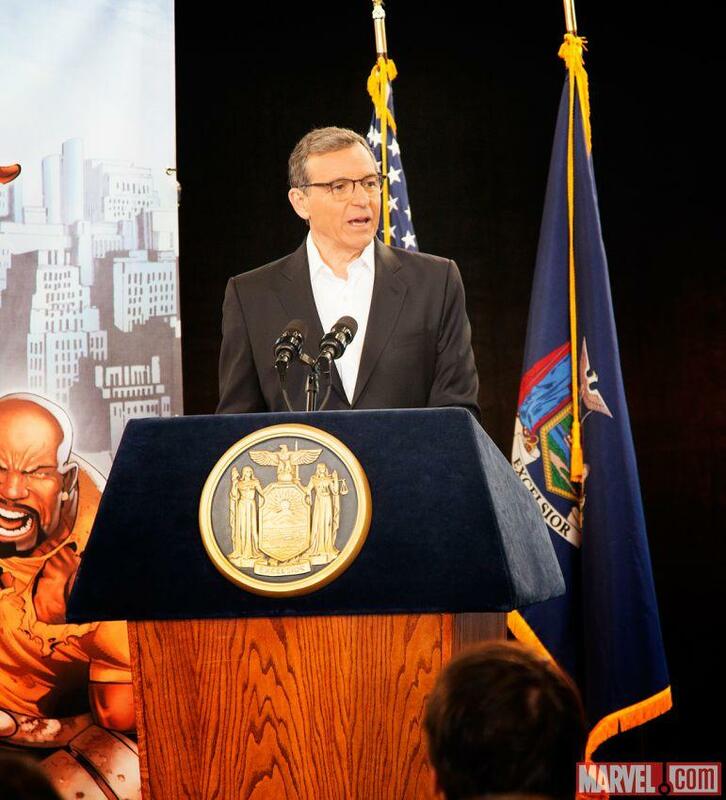 Speaking at a press event in New York City on Wednesday to announce the production location, it seems that the state chose to give the Netflix series favorable tax breaks to lure them to the area as it will mean $200 million in production spending, 400 full-time jobs and 9,000 production jobs. All told, each of the four solo series will have 13 episodes, bringing the count to 52 episodes produced, and will then be followed up with a four to eight episode crossover event between all of the characters. 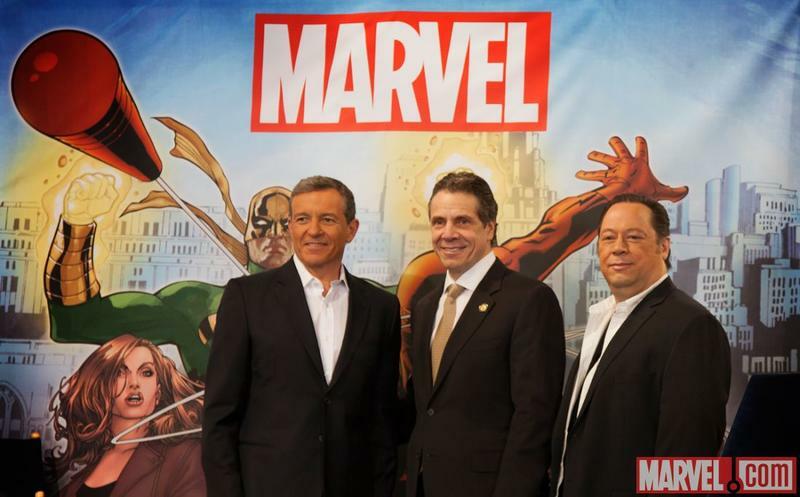 Netflix expects to begin airing the Marvel projects in 2015. 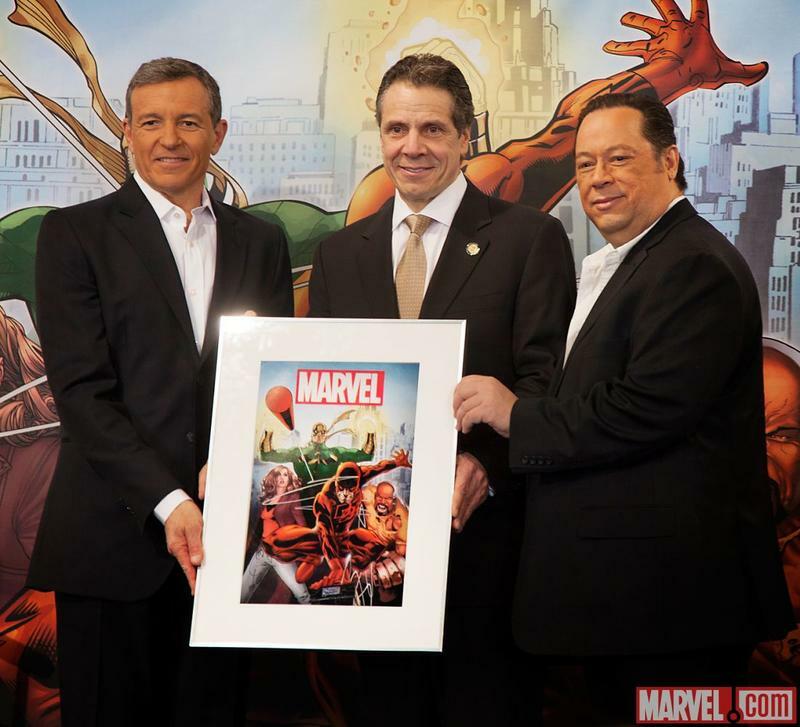 Governor Andrew M. Cuomo, The Walt Disney Company, Marvel and Netflix Inc. today announced that Marvel’s landmark live-action television series, which will bring Marvel’s ‘flawed heroes of Hell’s Kitchen’ characters to Netflix, the world’s leading Internet TV network, will principally film in New York State. 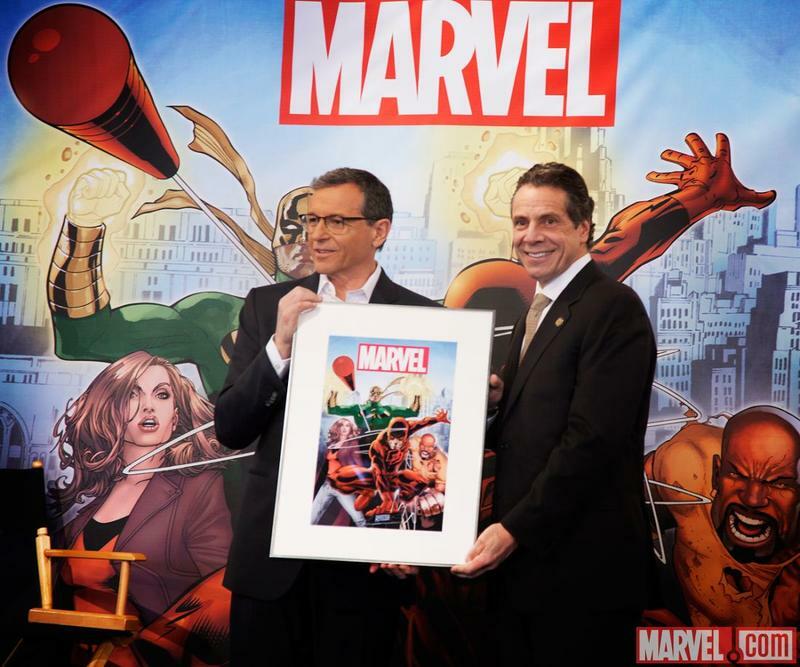 Produced by Marvel Television, in association with ABC Television Studios, this groundbreaking series is Marvel’s most ambitious foray yet into live-action television storytelling and represents the largest film or television production project commitment in New York State history. Collect a projected $477 million in credits; and Hire an estimated 128,165 actors and crew for the 183 projects submitted.